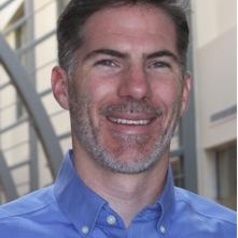 Shaun M. Dougherty is an Assistant Professor of Education and Public Policy at the Neag School of Education and Department of Public Policy at the University of Connecticut. He holds a doctorate in quantitative policy analysis from Harvard University as well as a master’s degree in educational administration from Gwynedd Mercy University. His work focuses on applied quantitative analysis of education policies and programs, including career and technical education, with an emphasis on understanding how PreK-12 policies and programs impact student outcomes. In particular, he emphasizes how policies and practices affect educational equity related to race, class, gender, and disability. Dougherty is a former high school mathematics teacher and assistant principal. His work has appeared in the Journal of Research on Educational Effectiveness, Education Evaluation and Policy Analysis, Education Finance and Policy, and the Review of Research in Education. His research has been funded by the Institute for Education Sciences, the Smith Richardson Foundation, and the Institute for Research on Poverty, which also recognized him as an Early Career Scholar. In addition, he is a Strategic Data Project Faculty Advisor through the Center for Education Policy Research at Harvard University, and has conducted applied policy analysis with several states and large districts, as well as the Thomas B. Fordham Institute, and the Manhattan Institute.